This entry was posted in Hi-Ho The Glamorous Life and tagged Catholicism, Hi-Ho The Glamorous Life, historical drama, Ignatius of Loyola, Juana or the Greater Glory, Marissa Skudlarek, Olympians Festival, Renaissance, Shakespeare. In 1979, the San Diego Opera premiered Gian-Carlo Menotti’s opera, Juana La Loca (whose title was later shortened to “La Loca”) as a vehicle for Beverly Sills. I saw the production in San Diego and New York. On September 16, 1979 WNCN-FM offered a live broadcast of the New York première of the opera. I cannot remember if it was telecast from the New York City Opera as part of the “Live From Lincoln Center” series on PBS. Thanks, George! 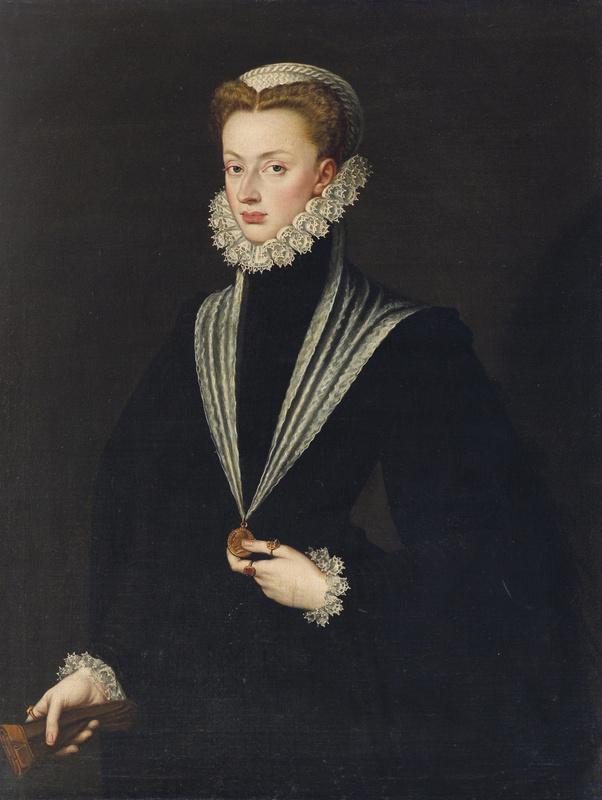 Just to clarify, the central character of my play is Juana la Loca’s namesake granddaughter, Princess Juana, who became Regent of Spain and then a Jesuit. La Loca appears in a few scenes of my play, though — because following my rule of “What would Shakespeare do?”, he wouldn’t pass up the chance to write a scene between a young princess and her mad old grandmother, the rightful queen. I enjoyed these excerpts of Menotti’s opera and Juana la Loca is certainly a fascinating character. In fact, this whole period of Spanish history is rife with drama and I wish it were better-known in this country. I also enjoyed seeing Verdi’s “Don Carlo” at SF Opera last month — Carlo was “my” Juana’s nephew and King Philip was her brother. Verdi and his librettist certainly took some liberties with the facts, though! “Many young writers, having seen too many episodes of ‘The Simpsons’ or ’30 Rock’, think that cleverness in writing is merely a matter of making endless pop culture allusions.” Always glad to see I’m not the only one who sees this, though I’ve never seen ’30 Rock’. (I would’ve just said there are too many graduates from the Seth MacFarlane school of “comedy”). Making allusions is a necessary part of world-building on the part of the dramatist. Congratulating oneself simply for knowing that reference is something else entirely. Yes, and I think it’s also a matter of whether the allusion serves a larger dramatic purpose, or whether the writer thinks that the mere act of making an allusion is clever/funny. The best allusions do work on multiple levels.